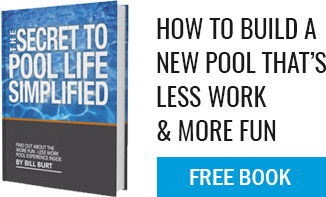 What is the longevity of a gunite pool versus a liner or fiberglass pool? A gunite pool last the longest and will be the easiest to take care of over time. Liner pools are susceptible to “floating and liner tears. Fiberglass pools have gel coat issues (fading, delaminating). They are also very susceptible to floating as well (a newly formed APSP Fiberglass Council is weighing in on the issue by developing a standardized detail using a sump or drainage "crock" — a piece of 12-inch pipe that's installed vertically on the side of the pool that extends down two feet below the deepest point of the pool). A well-built and well-designed gunite pool, when serviced properly, will have the least number of issues and give the most years of worry free ownership, of any type pool.